If you need a great sharpening system to keep your carbide tools in tip top condition. These are just a few to help you out. You have two chooses for variable speed girders with the Trow and Holden sharpening system. 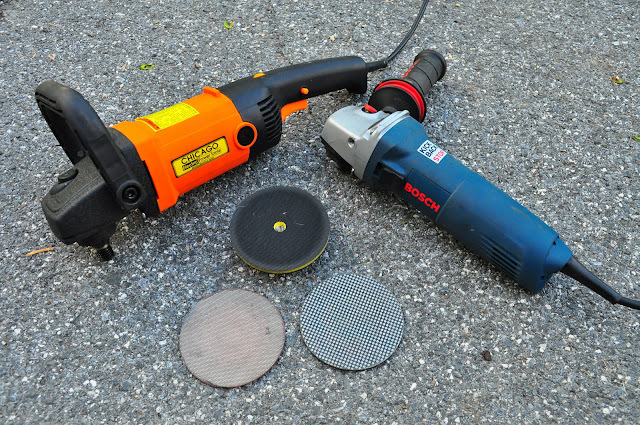 FACT: Variable speed grinders - keep you from having chatter due to high speed. For example I tried the grinding wheel without having the speed control my chisel bounce all over the place. Making it impossible to control the damage I was creating. Nor should you use a standard die grinder without speed adjustment.